Over the last year, I have been providing feedback to Dave Fitzpatrick (MediaDigitronics), the developer of a new scrapbooking software program, ScrapPage. It’s been fun for me to see what goes on behind the scenes in software development. It’s way beyond my skill set, but Dave has the knowledge, expertise and experience to put together a really fun (and easy-to-use!) scrapbooking program. “ScrapPage is a scrapbooking program that lets you utilize all of your digital scrapbooking skills in a quick and easy way. While it is not meant to be a replacement to Photoshop or Photoshop Elements, it is a superb adjunct to the scrapbooking options that are available to you. Both Desktop and iPad Versions are available. Create layouts in just minutes; and share via email, Facebook, or your favorite social media program. Upload to your favorite printing site, or print them layouts yourself. Build your background by using ScrapPage’s built-in textures/background papers, or import your own. Import photos easily and quickly. Use Masks to create Quick Pages, and save as a PNG file. I’ve had the opportunity to play with ScrapPage, and it’s everything that Dave proclaims it to be. Besides providing a serious opportunity to create beautiful pages, it’s ease of use can be.. well.. just fun. To introduce ScrapPage to the scrapping world, Dave is having a RAFFLE where TEN lucky winners will receive a FREE copy of Scrap Page. Head on over to Dave’s site and enter now! I have ONE copy I can give away! To enter my raffle, just leave a comment at the bottom of this blog post and let me know you would like to have a chance to win! ALSO, TEN $5 coupons to my store will be given away. Your entry into the raffle (either at Dave’s site or my site) will also include you in the coupon raffle. Winners will be chosen by Random Draw on Sunday, May 14th. I will post the names of the winners on my blog, so be sure to mark your calendar and check back on that day! Looks interesting. Seems very easy to use. So, Karen, what was your favorite feature? Did you find something that was particularly easy to do in this software? Hi Steph, I think it’s just an intuitive program all the way around. It isn’t as comprehensive as PSE; but it does quite a few of the same things. I can see it being helpful in a lot of ways. 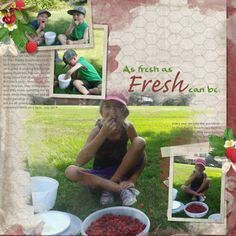 I am always looking for ways to improve my ability to make fabulous scrapbook pages. 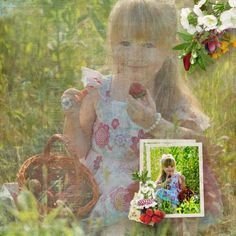 Having 12 Grandchildren and doing scrapbook pages every year and on special occasions for each of them, I can certainly use any help and new ideas I can get. You hit the nail on the head, Lorraine. Never stop looking for new ideas or new ways to think out side the box! What a treasure you are creating for your grandchildren! I would love to try this new software for building my pages outside of Paintshop Pro. Oh, Peggy.. this would be a great option for you! Dave’s new program sounds very interesting. I am anxious to learn more. Love your designs and the NAODS’ classes. Thanks, Eleanor, for your kind words. 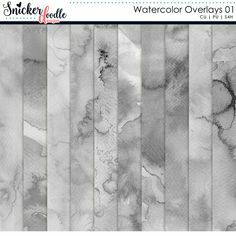 Our next NAODS class will be on watercolor techniques! It should be fun! Thank you for the chance to win a copy of Scrap page OR a coupon for your store! Our pleasure, Vivian! Thanks for joining in! This sounds like an awesome program!! Would be so much fun to win! Winning is always fun.. and winning something fun is even better! Thanks, Linda, for participating in the drawing! looks great Karen, thanks for a chance to win! Looks very interesting and easy to use. Something I could definitely use in my life. Yes, Maryann. It is easy to use.. and I agree… easy is nice! Karen, if you are involved in the development of this digi-scrap software I have no doubt it will be wonderful!! I hope I’m one of the lucky ones to win. I’d love to try it out!! Thanks for letting us know this, Dave! Thanks for the chance to win this software or a coupon to your store. And thanks for the cute NSD kit! You’re welcome, Babette. I’m glad you like the NSD kit! Good luck in the drawing! Looks great, sure would be fun to try. I’ve included your name, Eileen! Karen, I am always trying to expand my skills and if you like the program it must be amazing!! My goal is to reach anywhere close to skill, conception and delivery of a kit like you do!!! Your work is always amazing!! Thank you so much for the chance to win!!! Yes, I would like a chance to win the new program or a coupon to your store. Thanks! Your name has been included in the drawing, Debi! This new software looks interesting. I think it might speed up my scrap layouts. Please enter my name in the drawing. Thanks so much. Wow, what a great giveaway! As a newbie, I am finding Photoshop Elements just too overwhelming. This program sounds perfect. Thanks for the opportunity. You’re welcome, Tracey! Good luck! Be sure to register at Dave’s site too, to double your chances of winning! I understand, Hazel. Good luck in the drawing!! Thanks for the lovely blog hop gift, AND the chance to win a copy of the ScrapPage software. Since upgrading my PC the software I used previously is not compatible, and I haven’t found anything else that is as user-friendly. This software looks fun and I might be able to finally create something. (after 3 years of searching and trying to learn) I would love to be able to create and do what I want with an easy to understand and more user friendly software. Thank you for this chance. It’s my pleasure, Debbie! Good luck in the drawing! Looks interesting. I’m going to dl the trial version! Awesome, Dona! Would love your feedback, as I know Dave would as well. I currently use Digital Image Suite, but it’s no longer available and Microsoft no longer supports it. So far it works with Windows 10 but each new OS has degraded it some. This program sounds very similar. PS and I just don’t get along. Thanks for the chance – and a super alternative! it’s me, Susan… lol ! Just popping in to say hey! What a Day !! I would like a chance to win as well. Sounds like something new and interesting to try out! Would love a chance to try new software. Always trying to improve my skills. Love your work and have all but a couple of your kits. Thank you, Mary! Good luck in the drawing! Thank you for a chance to win a copy! I love your kits! They’re always so beautiful!! Thank you, Sherri! I appreciate your feedback and kind words. Good luck in the drawing! Love your ideas Karen, and anything you recommend is always a good thing, especially if it makes my digital scrapbooking easier and more productive. I would love to be able to try something new and Dave’s ideas sound great too. Your classes with NAODS are definitely a must see for all, and your digi-kits I have to agree are the best around. Thank you so much, Kathleen. I’m so glad you find the NAODS classes helpful too! Good luck in the drawing! I think it would be very interesting to have a way to create scrap pages on the ipad. Thanks for the opportunity to win. I have been following all your tutorials to learn photoshop elements and learn new ways to be creative. Thanks. Lots of entries Karen! Have been so busy around here that I haven’t had much time to be creative, so anything to make it faster and easier is a plus for me! I would really love a chance to win, thank you!!! I’ve included your name in the drawing. Good luck! I would love to have a chance to win this.